In case you didn’t know, email usage is at an all-time high. More than 3.7 billion people use email worldwide. With email usage so high, it’s no wonder you likely constantly receive marketing emails from businesses. Email marketing works — even in the B2B space. In fact, 86% of B2B marketers rely on email marketing campaigns to promote new business, which begs the question — are you using email marketing effectively for your business? More importantly, are you using email marketing consistently at all? There are a ton of email marketing service tools out there to help you with your email marketing, some of which are completely free. But, it’s important to note, not all free email marketing tools offer the same features. As a new business, you’re probably most concerned with how many emails you’re able to send, which features you have access to, and whether you can upgrade your account as your business grows. You’re probably also thinking about deliverability, and whether your emails will be consistently delivered to your contacts’ inboxes. Plus, you likely want a tool that’s both easy-to-use and doesn’t require advanced technical skills. Fortunately, we have you covered — here, we’ve ranked the best free email marketing tools that you can use for your business in 2019. HubSpot offers a reliable and feature-packed email marketing tool that’s suited for growing businesses — for free. You can create professional marketing emails that engage and grow your audience with the easy drag-and-drop email builder. With the drag-and-drop email builder, you don’t need to wait on IT or designers for help. Instead, you can easily create beautiful emails that your audience will love. HubSpot’s tool helps you achieve incredible marketing results with little effort. On top of the free email tool, you can use the HubSpot CRM for free to create tailored touch-points for your customers. HubSpot email is automatically connected with the HubSpot CRM, so you can tailor relevant emails based on any details you have — such as form submissions and website activity. Using the CRM, you can include personalized content in your emails, like first name and company name, to ensure your contacts feel like they are being personally addressed, all while tracking email activity in the CRM. This contributes to efficient scaling opportunities should your business outgrow the free tools and require more robust automation features, such as workflows. Optimizing your emails has never been easier. Using the tool’s email reporting analytics, you’ll learn how to send more relevant and optimized emails to your audience. The HubSpot email tool is free for up to 2,000 email sends per month, with upgrade solutions starting at $50 with Marketing Hub Starter. Send Pulse has over 130+ templates to choose from, or you can create your own using drag-and-drop functionality. Under the free plan, you’ll have access to Send Pulse’s highly regarded support team, including support via live chat. In terms of functionality, Send Pulse has a “Resend” feature that allows you to resend unopened emails with different subject lines, which is valuable for time scrapped marketers. What’s great about Send Pulse is that it has prices for all its services. 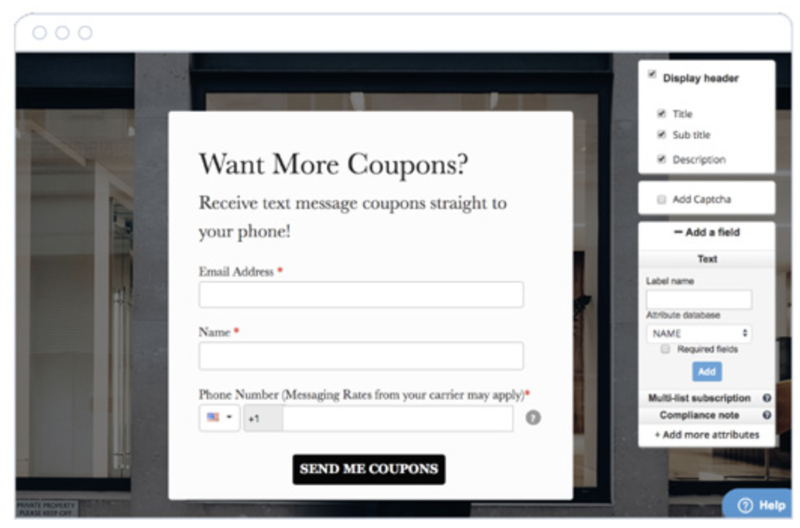 For example, if you need to send SMS, you can add an SMS package to your email marketing service package. They also offer web pushes, SMTP, Viber, and more. Since the service started in 2015, there still isn’t a ton of API support, but that’s something Send Pulse is working on improving for marketers who are in need of technical functionality. SendPulse offers 15,000 emails per month for free for up to 2,500 subscribers. Pricing starts at $9.85 per month for unlimited emails and up to 2,500 subscribers. MailChimp’s email tool is particularly useful for small and medium-sized businesses, since the free plan offers up to 12,000 email sends per month for up to 2,000 subscribers. Plus, you get access to features such as list segmentation, A/B testing, contact profiles and more. However, it’s important to note you’ll have MailChimp branding in your email footers with the free plan, and won’t have access to premium support. If you use e-commerce software, you’ll be happy to know that MailChimp integrates with e-commerce providers including WooCommerce and Magento. You’ll also be able to integrate Mailchimp with WordPress if your business uses WordPress as its content management system. MailChimp offers reporting for emails, but the details may not be as robust as you would like for optimal improvements. The MailChimp Free Forever plan allows up to 12,000 email sends per month to a subscriber limit of 2,000. The next tier upgrade tier costs $10 per month for unlimited email sends to a maximum of 500 subscribers. Zoho Campaigns is a good option for small to enterprise-sized businesses, depending on how quickly you’re scaling. With the Zoho Campaigns free plan, you get access to features such as A/B testing, reports, and templates. If you’re already using the Zoho CRM, it makes sense to check out Zoho campaigns to see how email and the CRM work together. It’s important to note — while the free version provides a lot of features, most of these features have limitations. Additionally, it can be difficult to get started using Zoho Campaigns because it requires customization before sending emails. Zoho offers 12,000 emails per month for up to 2,000 subscribers. Pricing starts at $5 per month for up to 500 subscribers. Moosend is ideal for people looking to get their feet wet in email marketing. The free tier comes feature-packed, but you’re maxed at 1,000 subscribers and won’t have a dedicated IP address. Moosend offers an easy to use drag-and-drop editor, email marketing automation triggers, real-time analytics, and list segmentation features. Moosend doesn’t offer a CRM, but if you’re looking to solely do email marketing, it might be a good start for your business. The company is ranked as having great support and satisfaction scores. If you’re a growing business, you’ll only need to pay for subscribers. The next upgrade is $10, and you’ll get up to 2,000 subscribers. If your business relies heavily on transactional emails, such as forgotten password help and invoice receipts, then SendInBlue might be ideal for you. With their extensive developer APIs, you’ll be able to integrate with their email system to achieve custom and required technical processes. Plus, while the service was initially known for having issues with delivery rates, SendInBlue has since improved upon its deliverability. With SendInBlue’s free plan, you’ll have access to a vast array of templates, personalization, A/B testing, contact management, workflow editor, and real-time reporting. Like the other tools mentioned, the software is easy to use, although the main interface can sometimes offer too many options and feel overwhelming. SendInBlue offers up to 300 email sends per day (which is roughly 9,000 emails/month) for free with unlimited contacts. Upgrade solutions start at $25/month for 40,000 emails and no daily sending limit. With Mailjet’s free plan, you’ll have access to unlimited contacts, APIs and webhooks, an advanced email editor, and advanced statistics. However, you won’t have access to A/B testing or automation features. The Mailjet interface is also simple to use, so you won’t have to spend a ton of time getting familiar with the service. Since you get full API access as part of the free plan, Mailjet is suited for businesses that require technical adjustments. Mailjet’s free plan offers up to 200 emails per day (that’s roughly 6,000 emails per month). You can upgrade starting at $8.69 per month for 30,000 emails and no daily sending limit. If you work for a business that is experiencing incredible growth, yet isn’t already using an email marketing service, you might want to check out Benchmark’s free email tool. The tool is well-equipped with premium features, and designed to cater to the enterprise-level business. With the free version of Benchmark, you can use the drag-and-drop editor, select from various templates, use sign-up forms, build basic drip campaigns, and use the list hygiene feature. Benchmark is user-friendly and easy to implement. However, there’s no option for A/B testing or automation features on the free tool. Furthermore, contacts can’t be added via list import in the free plan. You can only email contacts who fill out Benchmark subscriber forms. Benchmark offers a free Starter Plan with up to 2,000 subscribers and 14,000 emails per month. The next upgrade plan starts at $13.99 for up to 600 subscribers and unlimited email sends per month. Although it has “lite” in the name, MailerLite is actually a good solution for businesses starting out and looking to grow. The service is ideal for small businesses needing to send bulk marketing emails. It’s also well equipped with preview features so you can preview your email on desktop and mobile before sending it. However, the API and integration capabilities are not as robust as some of the other options in this list. Mailerlite offers 12,000 emails per month with up to 1,000 subscribers. The next upgrade tier costs $10, and it unlocks all features for up to 1,000 subscribers. ExpressPigeon provides a good solution for businesses using small list sizes but sending to very high-priority subscribers. With ExpressPigeon, you can effortlessly build and personalize emails, automate email responses, and send high volume emails. Best of all, you get access to all of the premium features with the free plan — however, there are low send and subscriber limits. ExpressPigeon is regarded as having some of the best customer satisfaction scores in the industry. ExpressPigeon offers a free plan that allows 1,000 messages for up to 500 subscribers, and one user only. The price of each additional user is $100 per month. The next upgrade tier is a huge price jump: $1,000 per month for up to 100,000 subscribers and two million emails. Now, you have a better sense of the best free email marketing tools at your disposal. Fortunately, you don’t need to commit to any service. You can try these tools out depending on your business’ needs, then select the one most ideal for you. If you’re looking to get started building incredible email marketing campaigns, we recommend that you try HubSpot Free CRM and Email. You’ll be able to see the power of the CRM behind every email interaction with your customers, so that you deliver remarkable experiences.